Heard Jeffrey Toobin talking about his new Patti Hearst book. 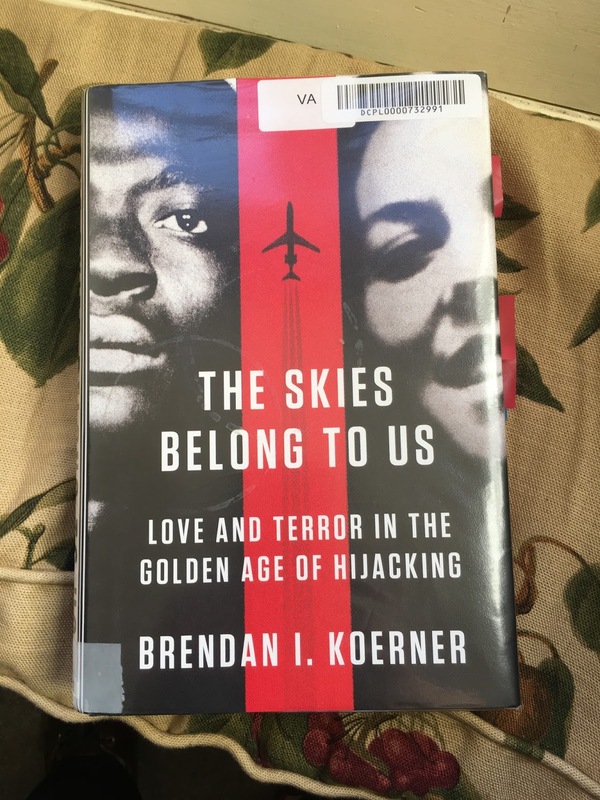 He spoke of The Skies Belong to Us: Love and Terror in the Golden Age of Hijacking as the best book on the hi-jack mania of the early 70s. I managed to track down an ex-library copy. It's enthralling. I remember how before airline security there was a time when it was fashionable to hi-jack planes and demand they take you to Cuba. I had no idea there were so many. Between 1970 and 1973 there was one every month in the USA. Most of them weren't thought through. People took control of planes that had hardly enough fuel to get to the next city and demanded they fly halfway round the world. They handed barely literate notes to cabin crew demanding a million dollars from the airline. They often got it. Sometimes they demanded parachutes and jumped from the planes. The odd one survived. Sometimes they ended up in Third World countries where the government relieved them of the money. Sometimes they sloped back into America undetected and tried to start a new life. 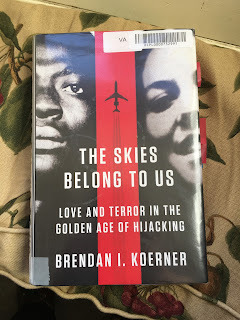 "The Skies Belong To Us" is about one particular hi-jack from 1972 when a couple of stoners with loose radical affiliations took a plane from Seattle to Algiers under the threat of exploding a fictional bomb. The hi-jacker gets stoned on the flight deck. The passengers empty the plane's stock of booze back in the cabin. When the FBI try to interview them afterwards they find them too drunk to make any sense. The amazing thing is that whenever people proposed fighting back against this blight by checking the bags of everybody getting on the plane it was argued that would be impractical and prohibitively expensive. Bears out my theory that we don't need a programme called "Tomorrow's World" any more. We need a programme that reminds us of the day before yesterday. P.S. A few people have asked why I recently disabled comments on this blog. No reason other than I just wanted to see how I felt about it this way.